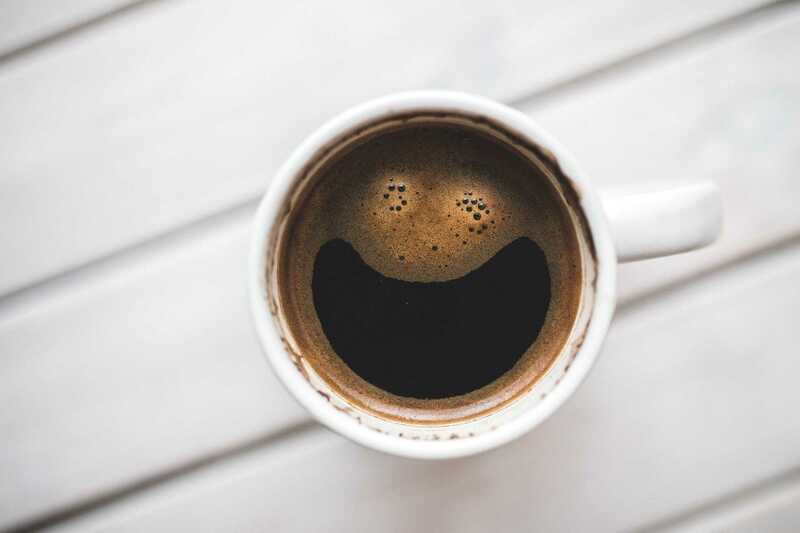 Are you starting a day with a cup of coffee? Then automate it. What Is A Smart Coffee Maker? 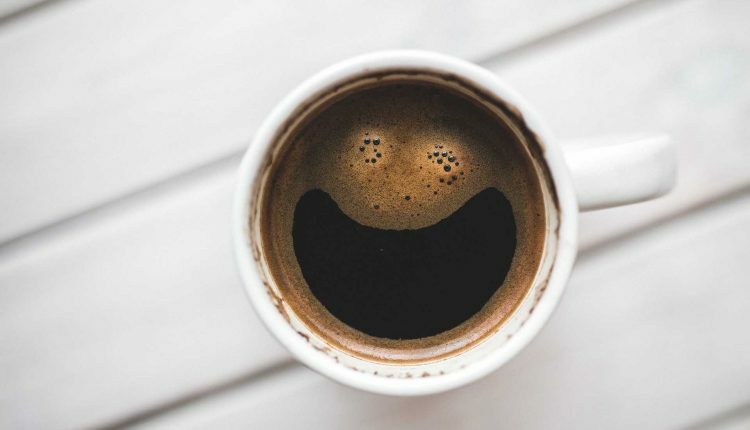 Are you starting a day with a cup of coffee? Everything gets better with coffee. Known for its “wake-up” effect, caffeine in coffee stimulates both mental and physical performance. And if you are like over 60% of Americans, you have probably made coffee your morning beverage of choice. Smart Wi-Fi coffee makers are connected to your smartphone, so all you need to do is choose the exact type of coffee you want and when you want. The convenience and ease of use are why people like these machines. If you want to automate your coffee brewing with only a few buttons on your smartphone, we found a few devices you would love to have. Based on research of more than 20 devices, these are the best smart Wi-Fi coffee makers for 2019. The Behmor Connected is basically a smarter version of the popular Brazen Plus. Same exterior and interior. The difference is the Wi-Fi connectivity, which lets you add Behmor to your home network and control it through the app. With the Behmor Brewer, you can select the brewing temperature, pre-soak time, and volume to capture the flavor you wish. This machine makes a good tasting cup of coffees, all that with a few pushes of buttons. Once you get it set up, you don´t need to open the app again. Only the price is a little bit higher than it should be. 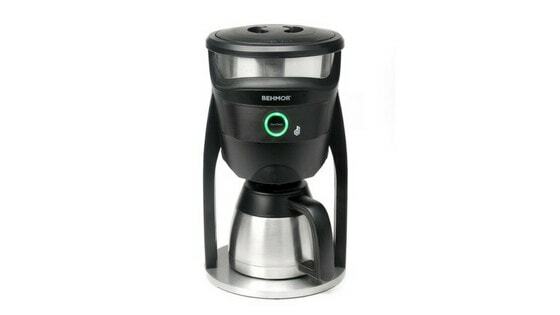 However, the Behmor connected coffee maker is easy to setup, simple to customize, and produces really great coffee. The GranBaristo line is getting better and better with each new model. The Philips Saeco GranBaristo Avanti is proof. 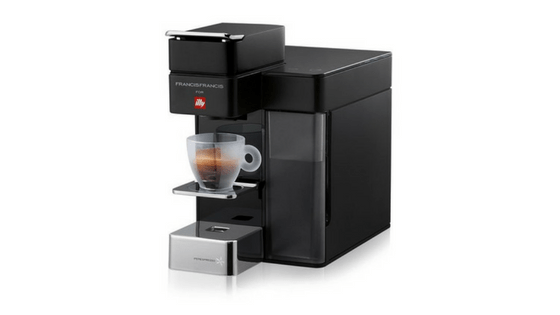 An impressive and technically advanced smart machine that makes a delicious coffee. With the intuitive app, it is very easy to adjust your shot temperature, volume and strength to get your perfect coffee… You can even adjust the amount of milk for the latte. Sounds great? There is a catch! GranBaristo Avanti is also incredibly expensive. Honestly, for most average consumers, the Avanti s too pricey to even consider, but it makes so delicious coffee! With its minimal design, the 2nd generation of Smarter Coffee machine is a sleek device, which fits right into the modern kitchen. Simple manual buttons located on either side of a monochrome display are intuitive, and the 12-cup glass carafe feels well made. But that´s just a design. The true power of each smart coffee maker is in its features. Smarter connects to the app (Android/iOS) via Wi-Fi. The app lets you specify how many cups you want, the strength of the brew and at the end, you get an alert when the coffee is ready. The machine can brew up to 1 to 12 cups at a time, and you’re going to receive an alarm when the device is lower on water or coffee beans. 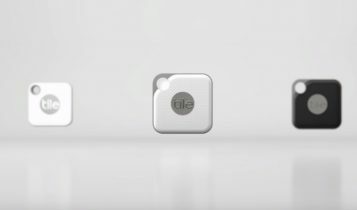 The most interesting thing about the Smarter is its ability to integrate with services like Alexa, Google Assistant, and IFTTT. You can truly include this machine in the smart home. Overall, the Smarter Coffee machine offers good value for money, a lot of features and pretty good coffee. However, it keeps coffee warm only for 40 minutes, it would be nice if it can keep the coffee warm for a longer time. 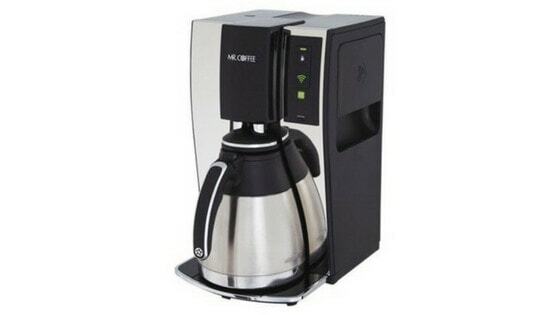 Mr. Coffee is one of the biggest brands in the home coffee maker market. While simple coffee makers from this brand are still loved by regular coffee drinkers, there are other people who want a little bit more features. That´s where the Mr. Coffee Optimal Brew comes into play. Honestly, it isn´t loaded with tons of features, but it still has plenty of them which are very useful and may make the brewing process easier. Especially when it comes to setting up your brew ahead of time. With the WeMo app (Android and iOS), scheduling extremely easy. Wanna manual control? It´s easy too. Add water, add coffee, press one button and you´ve got it. 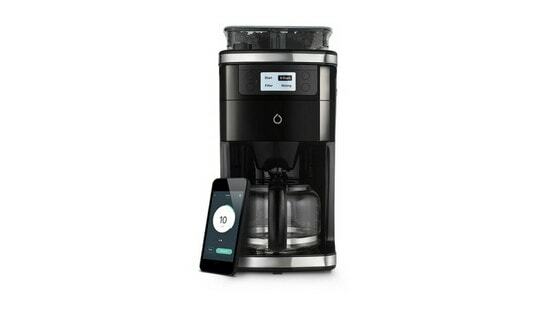 Mr.Coffee Smart Optimal Brew makes the entire 10-cups of coffee in only 7 minutes. For people who drink just a few coffees all through the day, the carafe will keep the brew warm for hours. 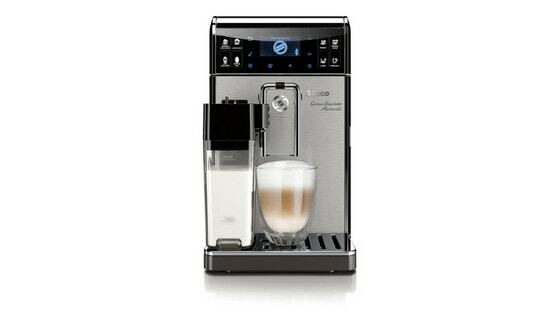 Nespresso Expert by De’Longhi is an espresso machine with a modern design. What´s more, this model offers a range of features that are not yet available in other Nespresso machines. For example, it has a new cup size, temperature settings, and Bluetooth capabilities. All these features will give you more ways to customize your coffee just the way you want. Making a cup of coffee couldn´t be simpler. All you need to do is just load a pod up top. After that, it powers on and starts heating water. In about 30 seconds, it is ready. Simple press brew and you have it. Yes, that´s it. The process is fast and the resulting coffee is delicious. 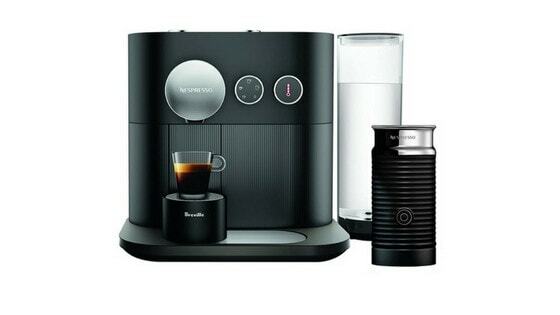 Basically, Nespresso Expert simplifies the coffee brewing experience without compromising quality. If you are looking for a coffee maker with hassle-free brewing and amazingly flavourful coffee, this stylish capsule machine is definitely worth your consideration. BrewGenie isn´t the best smart coffee maker available, it also doesn´t offer the best coffee quality. So, why is this machine on our list? Because BrewGenie is one of the most affordable solutions on the market right now. Easy to setup and use. That´s what you get. You can use it in either manual mode or remote mode through the EZPro app. Instructions to set up the coffee maker are easy to follow – even beginners can do it without any problems the first time. All the positives of BrewGenie end here. The BrewGenie is an affordable smart coffee machine and that’s all. 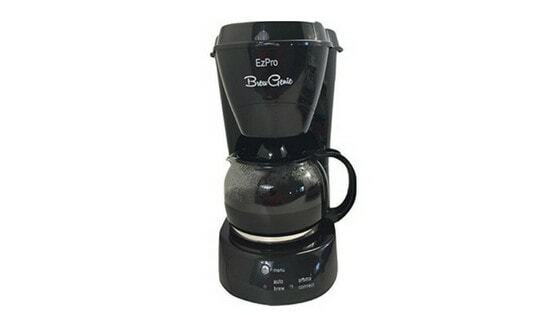 A result of an IndieGogo campaign, EzPro BrewGenie is a cheap brewer with a decent app that doesn’t even work properly. The design and the build quality also feel cheap, and the capacity (10 cups vs 12) is smaller than average. Buy only on your own risk. The Illy Y5 Iperespresso is a stylish and small machine that makes excellent espresso and coffee from Iperespresso pods. Illy is known for its great coffee/espresso and this is no exception. Just connect the machine through Bluetooth and with the use of Y5’s app, you get control over the customization of your espresso and drip coffee. To be fair, the app is only a bonus, ýou don´t need to use it if you want good espresso. This machine is fantastic. Small, stylish, simple, easy to keep clean, and affordable. Plus it looks great in the kitchen. A smart coffee maker is connected to your smartphone through Wi-Fi or Bluetooth, so all you need to do is choose the exact type of coffee you want and when you want. Each manufacturer also provides an app with at least basic functions such as remotely start brewing, set timer or let you pick when to start presoaking beans. Smart coffee makers are mostly designed to brew higher quality cups of coffee while giving you more control over the process. Ease of use – How much effort and time you are willing to put in for your cup of coffee? It should be easy to control the coffee machine and the smartphone app´s interface has to be clear and intuitive. A user-friendly smart coffee machine is what are you looking for. Brewing time – Not all machines have the same brewing time. So, pay attention to when you buying one. It´s always a good idea to read the description provided by the manufacturer. Capsules, Beans or Grounds – It depends on your subjective taste. There are three main types of coffee machine. Traditional machines use ground coffee, which needs to be measured and tamped correctly. Bean-to-cup machines, which grind beans at the touch of a button, delivering the freshest coffee. The third is capsules machines, which just need a unique capsule and press of the button. Read more about this topic at Aquaspresso. Water tank and capacity – Transparent water tank allows you to see how much water you have got left. Choose a higher water capacity if you often make more cups of coffee in one sitting. Wattage – The higher the wattage of your coffee machine, the faster the water will boil. 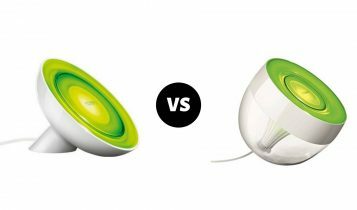 If you are choosing a smart coffee maker, you should always prefer a machine with the simplest installation and the easiest use. Almost all the products on this list have a simple installation process (plug-in) and could be connected to your home Wi-Fi to set up. You get an app with a clear interface where the smart machine would be controlled. Tap one or two buttons on your smartphone, and enjoy your coffee. Not all coffee makers are equal. You paying for brands, build quality, etc… The price range is anywhere between $30-$5000. Fortunately, there are so many machines and also the price range is so wide, that finding a good smart coffee maker with Wi-Fi/Bluetooth connectivity for your budget shouldn´t be hard. 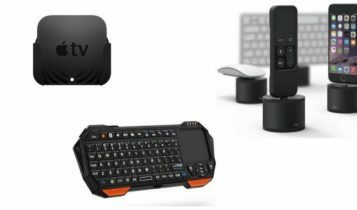 Clicking on some device names, images or buttons will redirect you to the product listing on the appropriate Amazon.com (.co.uk, .de, etc. ), where you can find the updated prices, customer reviews, and more product details.